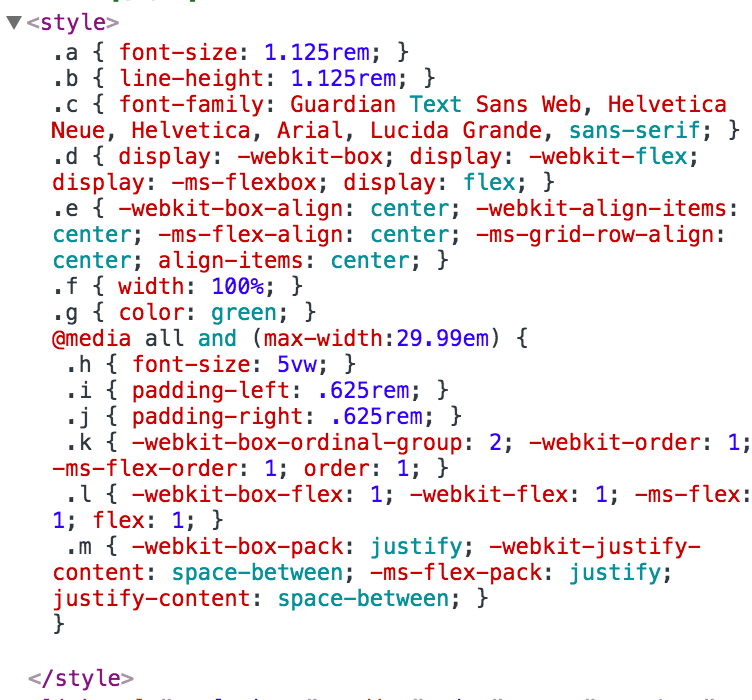 Adds an atomisable set of sass files, as a preliminary step to enabling it generally. This is mainly so that @NataliaLKB and I can test it and try and iron out the annoying and show-stopping oversights that aren't considered in this PR. What is the value of this and can you measure success? it enables us to get going on a real-world test of the principle. If the principle works, it should mean isolated CSS modules with the smallest possible CSS output. Does this affect other platforms - Amp, Apps, etc? fantastic! I am really excited by this, new ways of thinking could really be a game changer here. code looks good, although I assume the actual atomiser code is loaded in automatically? 👍 can't wait to see the results. Good point, I agree that special parameters only used for testing is not ideal - and I hadn't thought about greppability. What I was going for was making the classes as pure as possible so that the tests don't need to know anything about the internals (composition over inheritance). An overridable method for fencing off the behaviour not needed in the tests is a good way in such a simple class, although arguably adds more complexity than a defaulted parameter. ... using true here forces people to build their assets a certain way just to pass tests. You should be able to test the CssMap in this situation by extending the class, and overriding the bits you need to stub. Nice! We have a big incentive to make this work for ads, as most blockers hide DOM elements based on class/id values. Let me know if I can test this on some of our own components. are you using caps for atomised classes? Yes, I reckon it is. Speaking of atomic classes, wdyt of having (1) a typographic scale and (2) a naming convention of classes scoped to particular breakpoints?